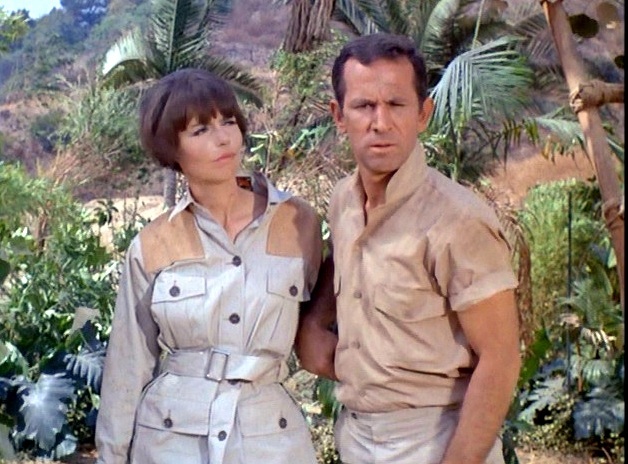 This entry was posted in Television and tagged 1960s, Barbara Feldon, Blogathon, Classic Television, Classic TV Blog Association, Don Adams, Get Smart, MeTV, MeTV's Summer of Classic TV Blogathon, Television. I remember that Nick at Nite marathon. I was in high school, and had never seen the show before. I thought it was surprisingly funny, and still do. I love Harold Gould in everything, but, for me, he will always be the debonair, smart, and endlessly patient Miles Webber. It sounds like a lot of people have fond memories of that marathon. 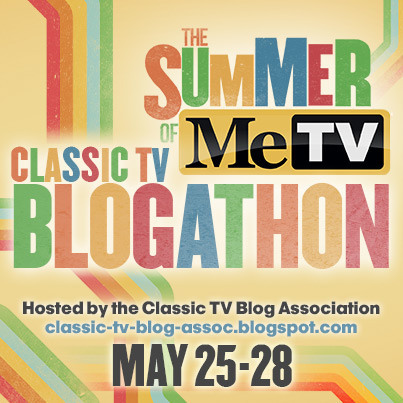 I’m glad MeTV is around now to bring back some of the fun to classic television that Nick at Night and TV Land used to provide. You’re right that Miles Webber was another great part for Gould. 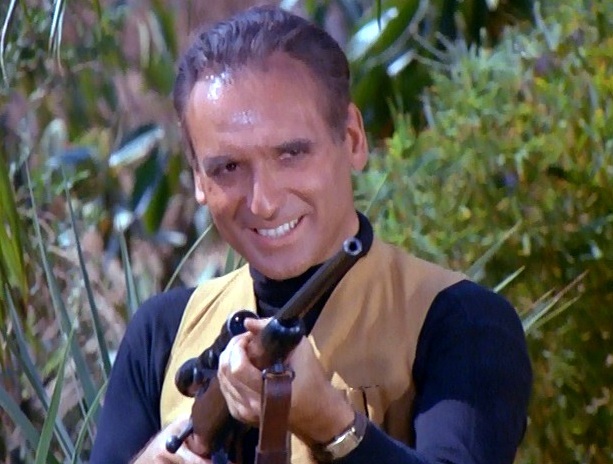 It’s fun to see him play such a different, dastardly character on Get Smart. Those old Nick at Nite marathons were the best. They introduced me to so many great shows from before my time. 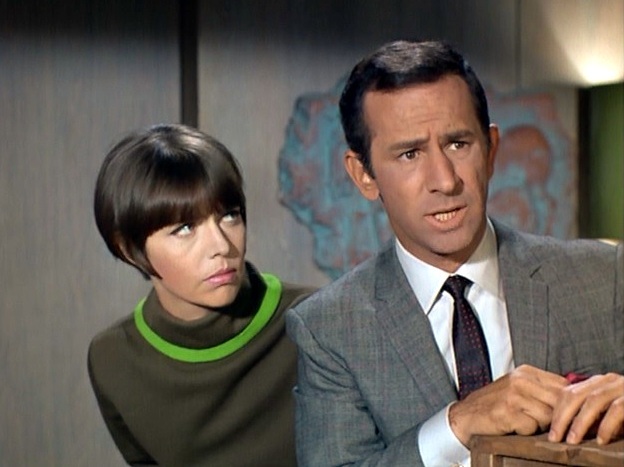 Also: I just now realized how fierce Barbara Feldon’s hair is in these pics. Great article. I love the concept of reviewing the entire majesty of the show through close analysis of one of its episodes. My Get Smart DVD box set sits proudly on a shelf and I return to it often. The 1965-1966 American TV season produced three of my all-time favorites. Batman, Get Smart and, one of my super favorites, Green Acres. Great, great stuff. Thanks again! This write-up is Keen to the Extreme. I’m glad you liked the post. I thought maybe I was being lazy by writing about only one episode, but I had to narrow my focus somehow. I have the DVD box set, too, and I think it is the nicest set I’ve seen–so many special features, and the telephone booth packaging is adorable! Thanks for commenting. Love that episode with Gould. 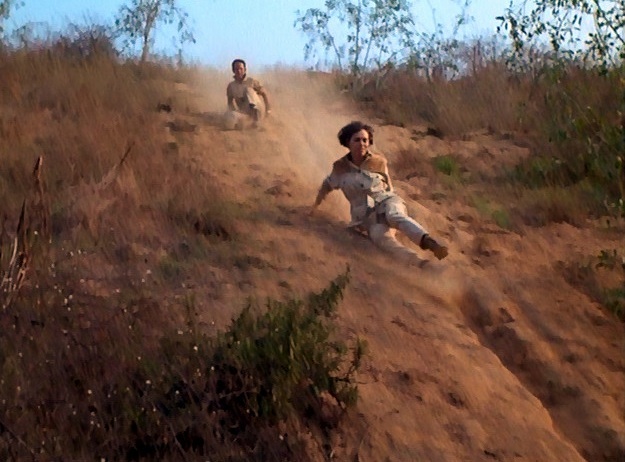 Hell, even Gilligan’s Island did the Most Dangerous Game, and around the same time too! It’s fun to watch for subversive lines in 60’s (and in some cases, like Love That Bob and Bilko, even 50’s) sitcoms where the writers are clearly seeing just what they can get away with. Possibly my favorite ep is with Don Adam’s childhood friend Larry Storch guest starring as the Groovy Guru. The Groovy Guru episode is definitely great, probably my favorite overall. I need to watch it again soon. Thanks for commenting! I was always a GET SMART fan and remember liking this episode. The quotes you included reminded me why I liked it. There were many witty comedies during the late 1960s and I’m often surprised by what they got away with (the exchange you included in your #5 reason is priceless–and a perfect example). Yes, Agent 99 wasn’t as physical as Mrs. Peel, but she was just as smart–and, of course, much smarter than Max (though he did have his moments). Yes, witty is a good word for the show. There were so many good lines in this episode that I couldn’t fit them all into my post. (For example, Max’s line after Hunter calls 99 “very loyal and very stupid” for sticking with Max instead of defecting to his side: “We’re CONTROL agents, Hunter. We’re trained to be very loyal and very stupid.”) Thanks for commenting! I was a Nick at Nite convert to this show as well. It’s still one of the funniest TV shows ever made. Yes, it’s politically incorrect now, but if laughing at ‘the Claw’ or the American Indian missile attack on Washington is wrong, I don’t want to be right. Great post. Yep, the show is always fun, politically correct or not. Thanks for commenting! And he talks about my favorite episode of GET SMART, too. Love it. Thanks for commenting! Hey, you are the “Remember WENN” Linda, aren’t you? God, I loved that show (and your web site!) . I was a very quiet member of the Remember WENN fandom back when the show was on the air. A very entertaining post! And I remember this episode well, even though it’s been several years since I’ve seen it last. I always enjoyed the episode with the circus best, especially Maxwell’s dialogue exchanges with the half man/half woman ( another unusual character to see on 1960s TV ). Did you ever do a review of the Get Smart boardgame? I agree with the others–this is a great breakdown of one episode. Very fun to read. And I think I hurt myself laughing with the line you included from Max: “If there’s anything I hate, it’s a joiner.” I also love that you appreciate what you label as #3: Bureaucratic Inanities. 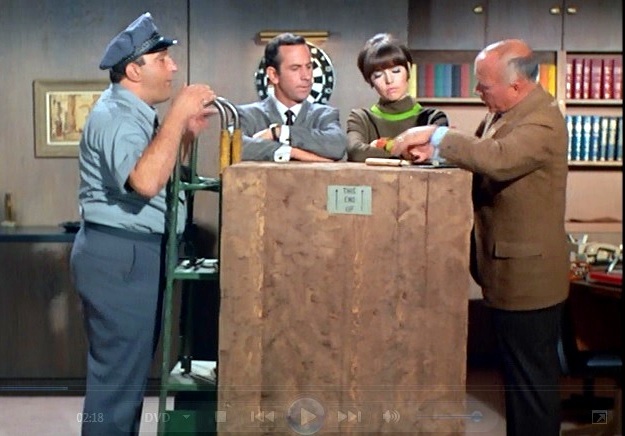 Those gags have always been some of my favorites on Get Smart. I don’t know which episode it is–but once Max compared the benefits and health coverage for KAOS agents with his own CONTROL benefits. Brilliant. Thanks for the reminder. 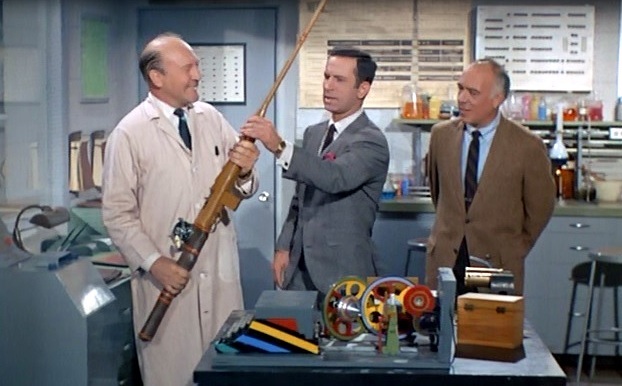 You know, I don’t think I’ve ever seen “Get Smart”. You’ve certainly whetted my appetite for this iconic TV show. Great post!